Use when there is no chimney present. 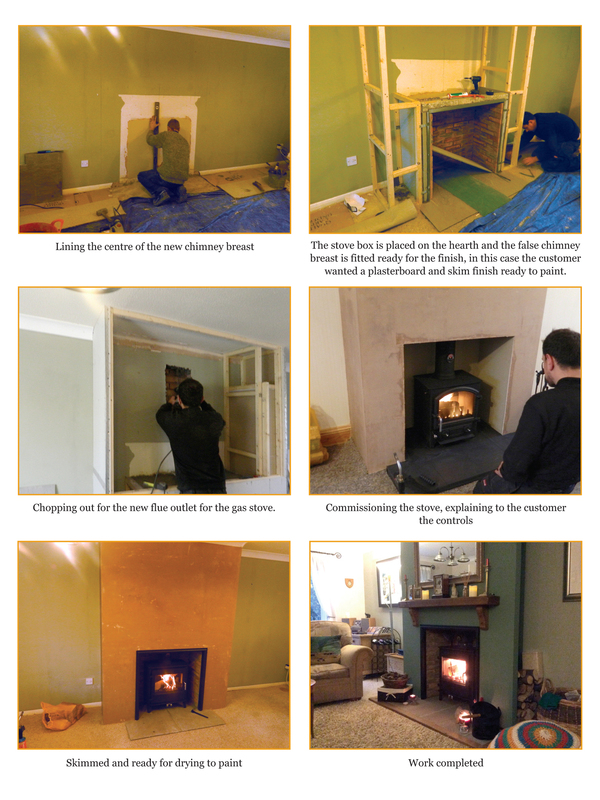 Build a false chimney breast and create an external flue system. 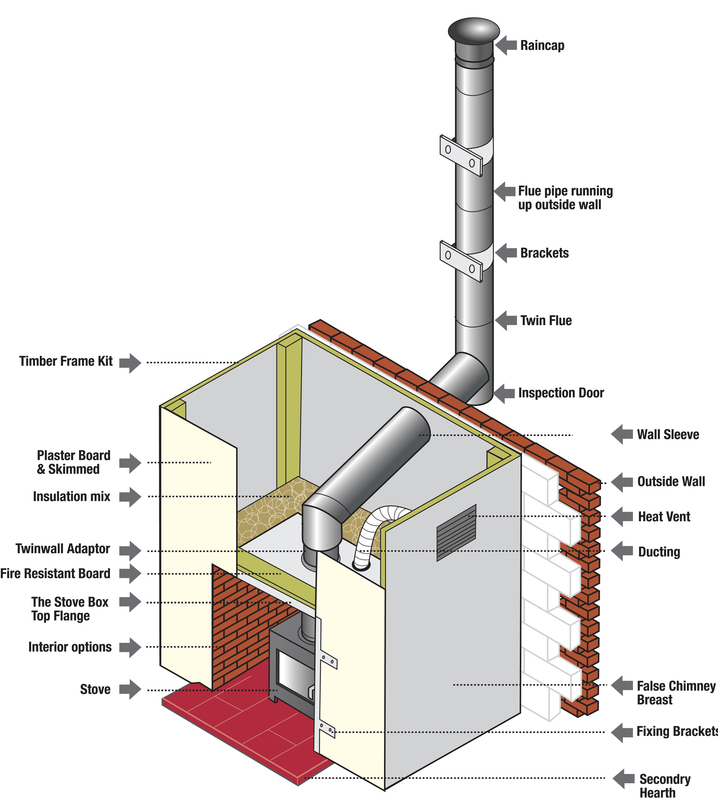 This option is for a house with no chimney, but the flue cannot go up through to the roof for various reasons, then a false chimney breast is built, the stovebox is inserted and the twinwall goes up only to the first metre above the top of the box and then at an angle out through to the exterior up to the recommended height. 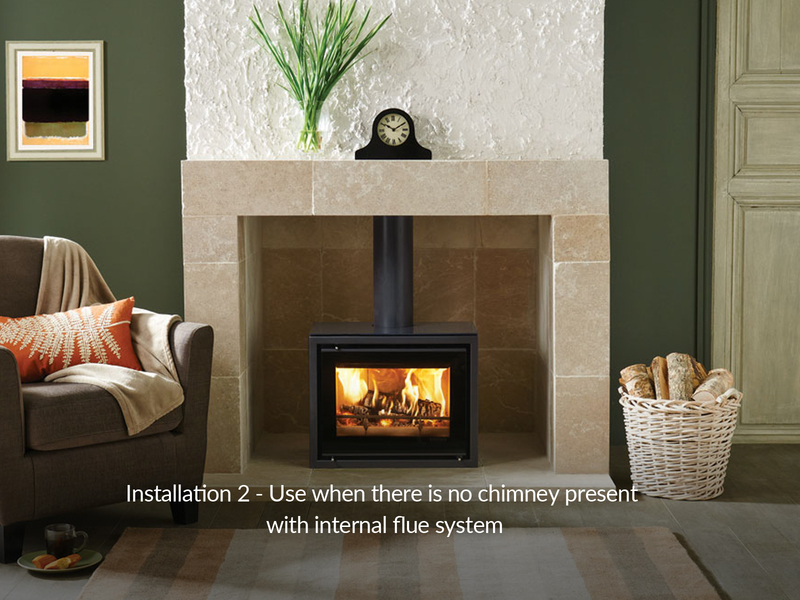 • Can this be a feature to the room not just a starter to the flue system. 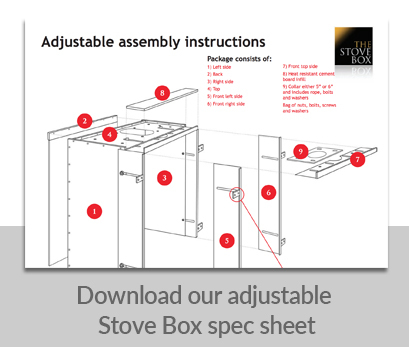 • It is possible to carry out these two functions and also make a feature to the room. 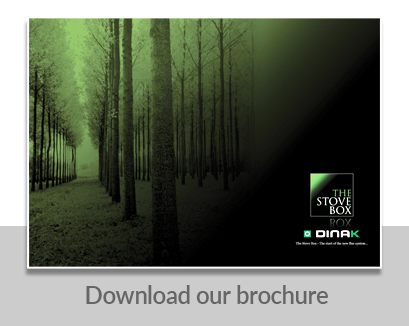 Specialist advice will need to be taken when choosing products such as a gas stoves. This will need a gas twinwall and should be advised by an installer that is gas safe . 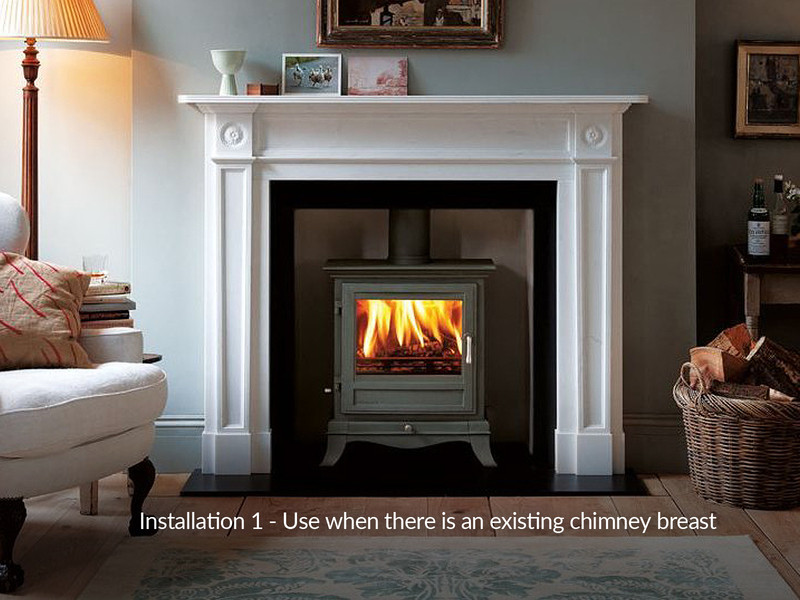 A wood or multifuel stove are covered by an Hetas installer. All bends must not exceed 45 degrees. 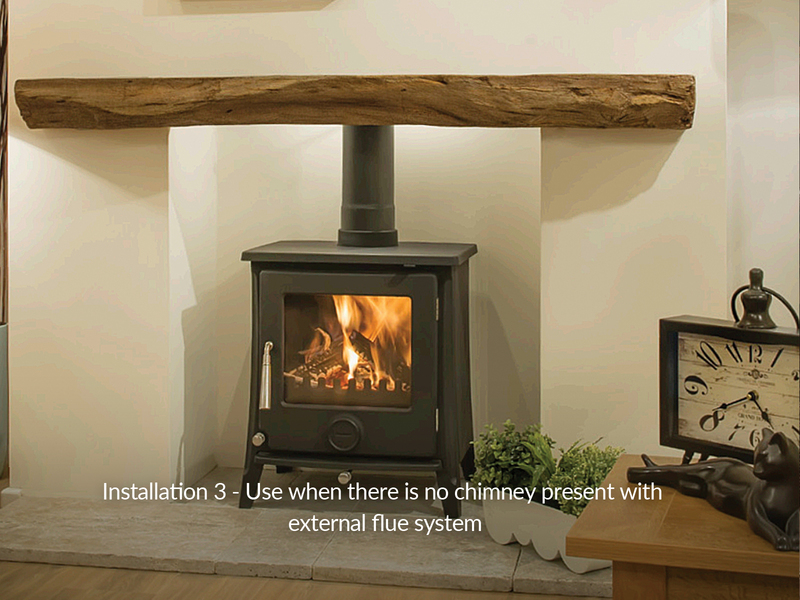 When using a timber framed dwelling, specialist advice should be taken on all no chimney situations when installing a new flue system. 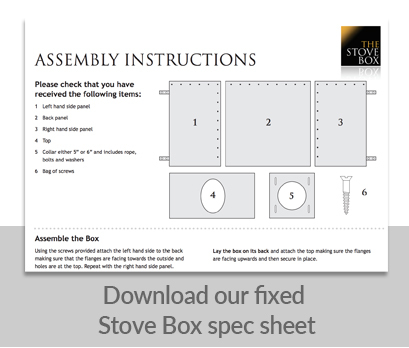 See our all NEW False Chimney Breast Kit website! 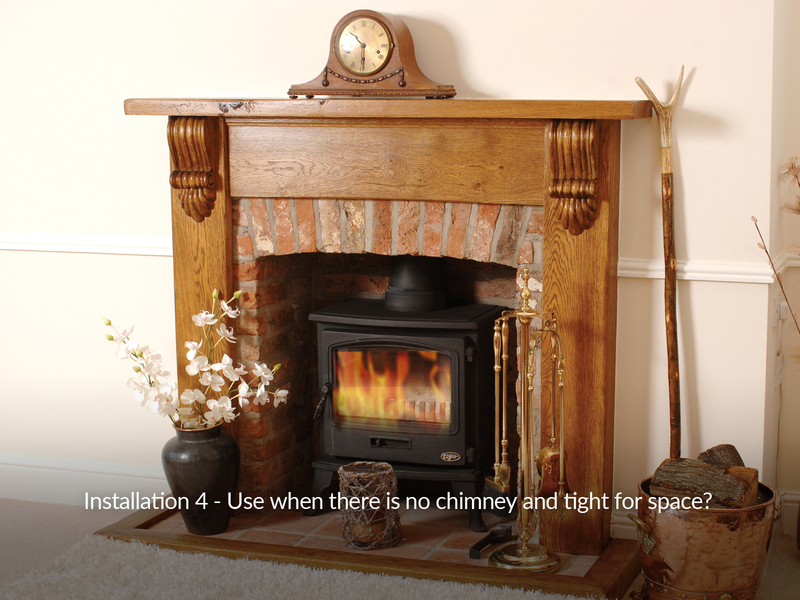 A quick and easy system when a false chimney breast is required.